The history of England is difficult to ignore whenever you travel there. More than most countries even around Europe, England has done a marvelous job of keeping its past alive, such that the pulse of the nation seems to echo forward from centuries past. 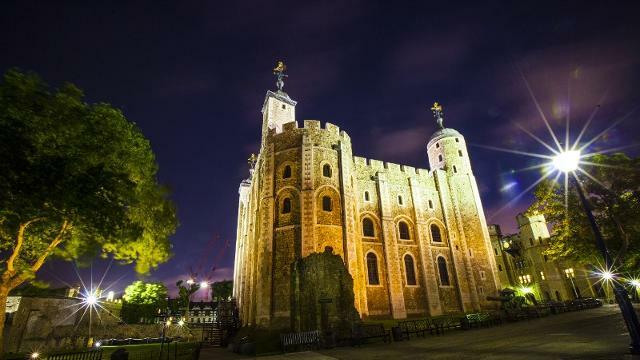 From a tourism standpoint though – particularly in London – we tend to experience this history largely through ancient churches, ruined castles, historic towns and the like. We do not spend as much time considering slightly more recent history, and some of the ways in which it is intertwined with London attractions geared more toward entertainment. That is to say, among the old abbeys, palaces and the like, there are several entertainment venues in London that in one way or another hail from incredibly interesting histories. These are a few that the adventurous traveler might enjoy learning more about. It´s well known that London has an unrivaled theatre scene, and it stands to reason that a town this old with such a thoroughly established cultural feature as this would also have some very old theatres. Yet while many might think first of Shakespeare´s Globe Theatre (which exists in London in remodeled form today), Theatre Royal Drury Lane is actually the oldest. Built in the 1600s and situated in Covent Garden, it has a rich history including multiple iterations, having survived the great plague, multiple instances of violence, and World War II. It remains one of the most special places in the city to see a performance. The Roundhouse is a musical performance venue, and a round dome of sorts as its name suggests. But aside from offering all sorts of different live events today (circuses, dances, concerts, and more), it has one of the most thoroughly fascinating histories of any building in London. The venue was first opened in the mid-1800s to house steam engines while they were being repaired. About two decades later it became a gin warehouse, and after about a hundred years of this it was repurposed as a performance venue in the 1960s. At that point it pretty much instantly took off and wound up hosting some of the biggest names of the musical era, and really of all time. Pink Floyd played the first show ever, and in the future The Doors, Jimi Hendrix, Elvis Costello, and Morrissey would all pass through. Itś a pretty great roster of performers for a relatively small venue. Essentially tucked into an alley in the Holborn area, Ye Old Mitre is a pub that dates back to the 1540s. Just for reference, that means King Henry VIII – the one infamous for his many wives, gregarious spirit, and late-reign weight gain – was ruling England when Ye Olde Mitre first opened its doors. Naturally we assume it looked and felt quite different all those years ago, but itâ€™s still a popular little drinking hole, somewhat cramped but in a charming way. If youre into authenticity in your pubs, there´s nothing that beats a place packed with this much history. The Hippodrome is first and foremost a casino, and this alone makes it difficult to imagine it as an historical site. This is because casino gaming is now synonymous with mobile devices and the internet in the UK, with dozens of new sites available for easy gaming access. Among the brick-and-mortar casinos left in town though, the Hippodrome is easily the most interesting and the one with the strongest ties to London´s past. First opened in 1900, the Hippodrome was essentially a performance facility, and one for the ages. Charlie Chaplin performed at the first show, the auditorium could be flooded for the use of fountains and boats in shows, and exotic animals like elephants and polar bears were brought in for circus acts. The history paints an incredibly vibrant picture of early 20th century London, and makes it all the more interesting to see how the Hippodrome has evolved into a modern entertainment center. There´s also the sports of London to consider, and in this regard no place is as rich in history as Stamford Bridge. First established in the late 1800s, it´s a monument to English football in the truest sense, and goes a long way toward explaining why supporters of Chelsea FC (and other long-established English clubs for that matter) are as passionate as they are. The stadium feels fairly modern today thanks to upkeep and renovations over the years, but between the venue, the club and the supporters, visitors can almost feel its history anyway.